One image depicts a relatively simple game requiring a basic level of planning to complete in the fewest changes; the other a challenge that stimulates the organizational capabilities of our ability to plan, calculate risk, look for alternative options, consider rewards, take chances and ultimately, complete the solution without losing all. Both represent a clear outcome – line up the numbers in numerical order, build the highest possible tower without collapsing. But there is so much more and this is why I like the metaphor. What I love about both of these is that they encapsulate a lot of the experiences we all face – time, risk, chance, luck, gungho, considered, flair, logic etc. And what I love even more is that each has its own peculiar dimension that with the right circumstances can present a real challenge. For example, the sliding puzzle looks easy but if there was a 30 second timer on completion it might be a helluva a lot harder! And the Jenga tower. If one had to complete in semi-darkness with deceptive shadows then the risk of a ill-timed block removal may have really negative outcomes! The stakes are too high for an IT organization not to realize the change around them, and even for the individual IT pro, the realization that those well hones skills of yesteryear may not hold them in good steed in the future job market. So I see the metaphor for the Sliding Tile Puzzle representing the IT Department of the 1990s’ and early 2000s’. Each tile represent a building block of the defacto standard IT department – storage, PCs, backup, print, networks, applications, anti-virus, remote access, service desk, licensing and so on. Each had a whole host of challenges, but as we recall we skillfully move the tiles around because we (1) knew the end result (2) we knew what all the tiles were ( key point for later ) and (3) knew that everyone else managing IT or supplying solutions to us knew how the game was supposed to be played. Just like the game those days were all about predictability. I mean do we remember simple jobs like sizing an email solution. How many users do I have, how many power users do I have, what is my archive policy going to be, what types of data will we store? Once I have all these answers in my calculator I can buy storage and servers and build a new email platform. Boom – pretty easy. Just like moving a tile. I know, I know, I know – I oversimplify but when you reflect it was pretty straightforward. Agree now? Being an IT manager in these days was a reasonably predictable job. Some would say safe job.Job for life in fact. Once you had selected a technology stack for servers, storage, , switches, PCs, software, printers etc you really just needed good architects, analysts, internal processes and a competent service desk and,you had a fair chance of delivery OK IT service. And you still had change left to still play the pants outside the trouser hero stuff ( even when you had probably screwed up). * Consider this. To win the sliding puzzle game you just need to use the ‘space tile’ to move the tiles around until they are in numerical order. Fastest wins basically. * Consider this. To win the Jenga block tower game you can become the victor by building the highest tower before it collapses ( or it may never ….). Now of course these are just two analogies I am using but you can have fun here. Imagine this. 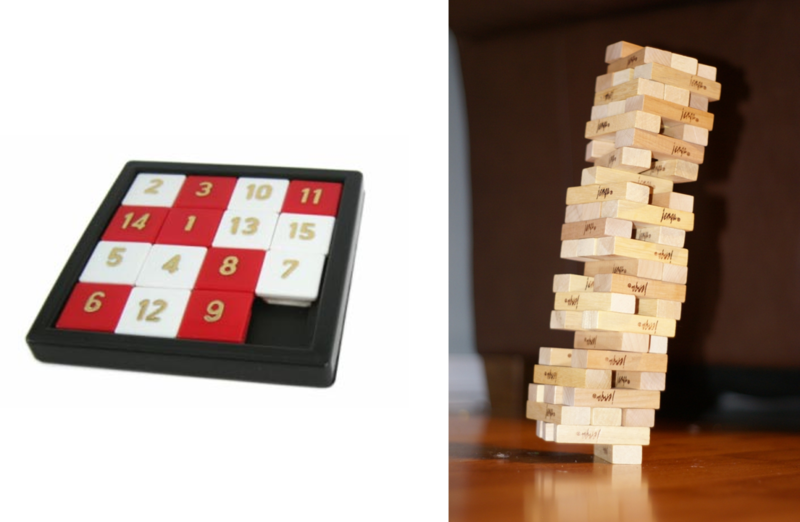 The sliding puzzle game represents on premise inside your own IT data center, whilst the Jenga tower represents a move to a cloud computing centric IT platform with multiple suppliers of service and device options. I know I am having some fun here but the real real truth is that in the heads of senior IT management their challenges just keep on mounting as they juggle their skills to focus on the sliding puzzle ( the basic IT functions ) and the moving blocks ( the business changes ). Every day they are playing both games, simultaneously and inter-operable as they move tiles, and push bricks. And as we moved into the Connected Worker and Network Economy that promise to transform just about every aspect of how people live and work, the analogy of the games gets more interesting. For the traditional IT worker ‘comfortable’ in the ‘we always did it this way’ sliding tiles around world there is a new challenge. There are more tiles than the game allows. There is no capacity to add more tiles so what do you do? Start another game? Ouch. Well actually this is what is happening. Siloed IT management without foresight and vision, are making huge mistakes by ‘adding more’ tiles to their IT environment without an eye on the prize. These guys typically are disconnected from the business user who is – guess what – over there building there own game out of bricks! For the modern aligned IT pro who walked over to the business person and has agreed to work with them on the brick tower there can only be success. Sure hard work ( remember the only place that success comes before work is in the dictionary ) but because they agree the risks and rewards together ( cloud ), and agree the governance they are going to play game with, they stand the best chance of building a strong tower fit for the future and one that can be built upon. The modern IT worker has the sense to combine their skills and knowledge of how to play the simpler puzzle game ( because they know they still need to do that ) but have also gained business acumen, that has taught them a different way to build an IT business. The Commonwealth Games that has so gloriously graced our screens recently illustrated perfectly the art of being a challenger. Each competitor pushed themselves and their opponents as they broke personal and world records, scored more points, went faster and jumped higher. Whatever their discipline they were all challengers because they were all being challenged. And yes they made mistakes, but interestingly, very few won because they went slower. In our more back to basic lives, IT organisations are constantly told to speed up. Deliver more. Respond quicker. Develop smarter.Speed is what everyone wants as they associate acceleration to business growth. And these people are correct. They are the coaches we saw in the Glasgow games. Such challengers are circling the IT leadership groups. They are asking new questions. They are probing for answers to resolving business change and they are looking for speed. And yet many in the IT organisation fears these challengers as it implies speed which also equals risk in their eyes. Easy to say but hard to work through. Think back two or three decades. Computers were built to deal with computational things. They were designed to count things up. All the people in IT were employed to make computers deal with processes that the human couldn’t deal with quickly enough. People had to be precise, stable and be able to translate a need into a programmable outcome. There was no creativity or information. These times were all about the information. And Speed One was borne. The customer knew what calculation they wanted. And the IT people did their stuff to produce the data. The mainframe and mid-range computing era was all about this. As the PCs came into mainstream into the 1990s pressure was applied on the IT team from new angles. All the complexity they knew suddenly burst into new territory and so it has transpired through the growth of the Web and the Cloud and Mobile paradigm shifts and the always on , press a button access to information. The world speed-ed up basically. Speed Two exploded to challenge Speed One. Yet despite all this the trait of the IT organization largely remained rooted in a Speed One – “always do it this way” – approach.And you know they are not always wrong. In an IT organization speed inherently suggests something bad may happen. Speed suggests work rounds, quick fixes, lack of governance and eventually, a priority incident that causes business downtime occurs.Take things slower they counter argue. Put governance steps to balance the demand for speed. Put processes in place to encourage challengers to reflect on their changes. The IT industry is littered with failed projects because of speed. 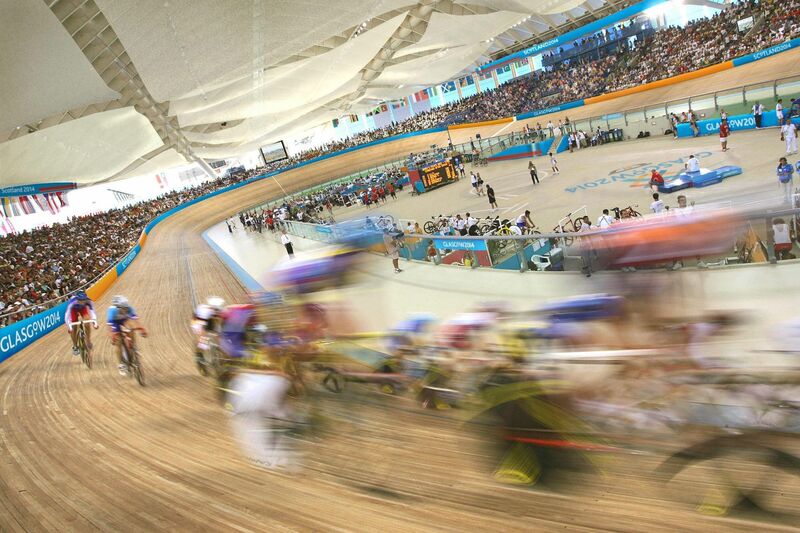 As the Commonwealth athletes prepared for their discipline they were focused on speed. They trained to understand how to overcome failure. Watch the 4 x 4 relay team go through their preparation. No on could argue that they are not challengers. No one can argue can that they do not represent risk takers. Yet when you look closely you will see that among all the frantic speed of their sport exists total governance and process. From a technology perspective I am pretty sure the founders of Next Generations technologies are making mistakes daily in their creation of their visions. Of course cloud is a great physical demonstration of how the challenger role has changed our lives. We see it in the devices in our hands. How many of us would say Mobility and Cloud is a Speed Two event for us? Most of us I suspect yet down the line a ton of mistakes were made. As the technology made the concept of moving information into a powerhouse engine room that sat outside the traditional data center a reality ( Moores Law et al ), technology challengers bought to us a period of speed as they experimented, failed, experimented again and finally, achieved their goal – industrialised engineered services that allowed businesses to change in a ‘fast’ way. By learning by their mistakes these challengers embraced the risks to avoid their clients having to go through all the pain of failure. I mean a traditional IT organisation’s ability to build a cloud whilst honorable, suggests a lot of challenging and failure that inevitably out reaches the capability of the people and the expectation of cost and service delivery. Lets look again at the title of this post. If we are going to fail – fail fast in this challenger world we live in. What does this mean for an IT organization? Lets start with what it doesn’t mean. * Ripping up all the governance and process management in place. * Discarding all the controls to manage access to systems. * Throwing away all elements of service management. * Allowing end users to do what they like. * Identifying opportunities to present solutions to the business that are firmly in the front of office and really land positively with the personas of the business user. * Developing the people skills to gather a wealth of talent that looks ahead and challenges the business decision makers. * Mastering the art of leading two speeds of IT delivery. No one says that being a Speed One person is a bad thing. A day doesn’t go by where we all do Speed One things. Getting stuck in traffic feels very close to heart. Having to queue to board a train. Waiting for luggage at the airport. Don’t we all crave for a Speed Two experience? No one knows yet that always going fast is the right thing to do. You can go too fast. Try running a marathon by treating the first mile as a race! Coming up with creative ideas will mean you will fail. Identifying others who are also looking to be a Speed Two person will help you – though be prepared they will also be failing. Daily we will need to be a Speed One and a Speed Two person. We will fail more as a Speed Two person. Its only natural. The skill will be how we learn how to fail fast. A speed two organization will have a mechanism to foster speed two creativity. It will have a way of incubating a speed two idea. It will have a level of governance that still protects the business from risk. Look at Google and their Friday creativity breakouts for their colleagues to come up with Speed Two ideas as they seek ways to be even more successful. Like an athlete a Speed Two person will have to control our breathing. In IT terms this means we don’t randomly speculate on technology. In IT terms this means we don’t make frivolous risks with corporate assets. Just because we haven’t moved all our stuff to the cloud doesn’t make us a Speed One, slow, backward thinking organisation. Equally just because everything is in the cloud doesn’t make us a Speed Two organization. Read this phrase and think of yourself or a colleague. First part suggest Speed One, second part suggests Speed Two. You are probably saying Im the first guy – speed, quick, on my own, blazing a trail, knocking things over. Now switch the sentence around. You may now be saying that you are the first guy – because you want to go far ( career, earnings, bonuses ) by working with others, sharing goals, go quickly still but as a team, and that going quickly alone sounds risky and lonely. Being a challenger is very important. We live in a technological world where the sheer pace of change is challenging us as individuals. We have no choice in most cases. It is inevitable. The secret to me is how we approach what we do and how we consider what being a challenger is all about. I read tonight that Usain Bolt is challenging himself to break the 19 seconds barrier for the 200 meters. Amazing. This is a man who is going to fail. This is a man who is going fail fast. This is a man who will succeed. Usain Bolt does not look like a Speed One man. He looks like a very very successful Speed Two human being. PS Tiffani Bova – great quote I have humbly used to make my point.